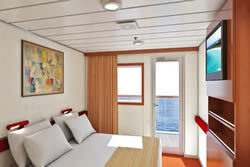 The interior ship design is the work of Miami-based architect Joe Farcus, and Berlitz Cruising and Cruise Ship Guide calls the design "...clever, functional, and extremely colorful, with a theme of yesteryear's ocean liners." They call the Rock and Roll Disco "dazzling" with its guitar-shaped dance floor and dozens of video monitors (I'll be requesting Madonna's "Vogue," of course!). 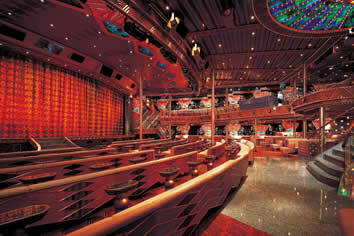 CruiseCritic says the Carnival Paradise "...shines with its entertainment, including theater productions, dancing, and live music." 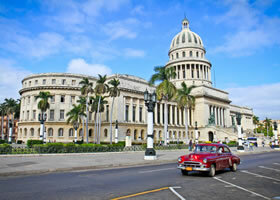 Passengers are especially impressed with the Cuba-themed programs. 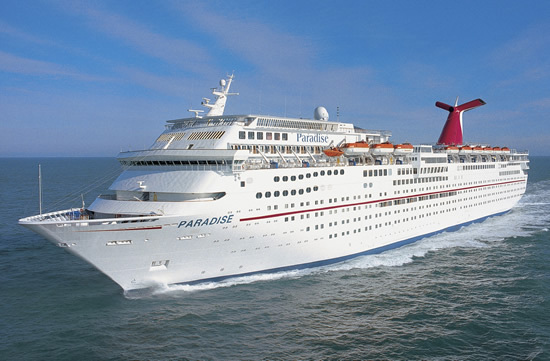 From deck parties and performances by Cuban musicians, to enriching shore excursions and onboard educational lectures, "Carnival does an excellent job feeding passengers' curiosity about the island." Our main hangout will be the Alchemy Martini Bar, where trained mixologists whip up concoctions on the spot—from the menu as well as newly created just for you! Afterhours, attend a stunning show in the grand Normandie Theater, or head to the Punchliner Club, featuring top-notch comedians, different every night. It'll be August in the Gulf of Mexico (hot! ), so you'll want to cool off at one of the several pools on board (one of which is in the Serenity Adult-Only Retreat area—no kids, yay!). Now, if you're feeling adventurous, check out Paradise's new onboard water park, WaterWorks. It features the Twister Waterslide—an enclosed 300-foot long slide of fast spiraling twists and turns to the pool below, and a pair of 82-foot long racing water slides. 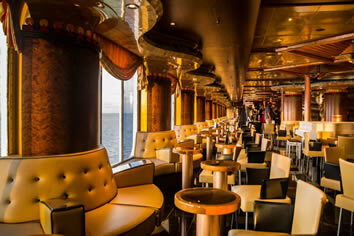 • Let's Cruise Away Welcome Aboard Cocktail Party (with free cocktails! )—come meet your fellow Daddies and friends in a warm, welcoming, and casual atmosphere. 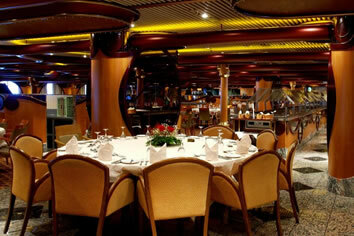 Play our fun mingling/get-to-know-you activity, and start forging friendships that will last a lifetime. 07 Aug Fun Day at Sea! Tampa is renowned for terrific boating, fishing and swimming. But theres so much more, with the fascinating old-world culture of Ybor City, and of course, Busch Gardens - 300 acres of rides, animal exhibits and live entertainments. 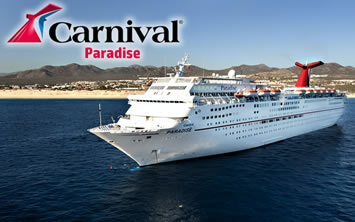 The fun begins the moment you board the Carnival Paradise - which has been designed (and recently refurbished!) from bow to stern for your fun and enjoyment. 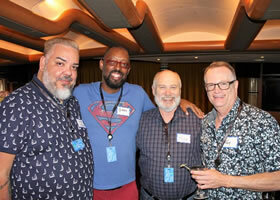 As we sail out of Tampa, we'll gather for a hosted Daddy Cruise Party where you'll meet your fellow cruisers and start making new friends right away. We'll cruise out of Tampa Bay, squeaking under the impressive Sunshine Skyway Bridge, just in time to see the sun set over the Gulf of Mexico. The gay mecca where inclusiveness is part of its heritage welcomes us for shopping, sightseeing, adventures and relaxing. Watersports are plentiful: snorkeling, parasailing, SCUBA, deep sea fishing, jet skis, kayaking, paddle boarding—to name a few. Tour the historical sites like the Hemingway House, the Key West AIDS Memorial, Mallory Square and then touch the Southernmost Point Buoy. Shop famous Duvall Street and be sure to grab a mouthwatering slice of the original key lime pie from the Key West Lime Pie Co. Watch for chickens—they roam freely and are protected by law (so don't harass them!). Yes, Key West is a very different place from Miami Beach, Wilton Manors or anywhere else in gay Florida. 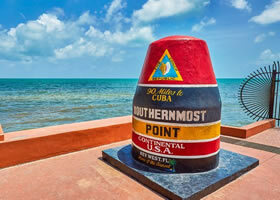 Come see why locals often refer to Key West as "Unflorida" and consider it more Caribbean than USA. For anyone who grew up during the Cold War (or studied it as "history" like my kids did—talk about making me feel old!! ), Cuba was mysterious, exotic, and—until recently—completely off limits. But now, we can go see what's been just 90 miles from USA all this time. 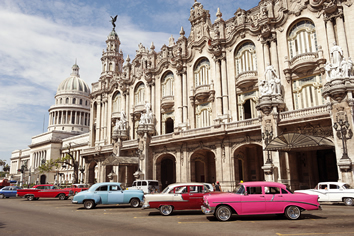 From the Spanish colonial architecture to the famous 1950's cars (still in mint condition); from warm, friendly and welcoming people to warm, friendly and welcoming beaches; from historic sites to lavish museums; cultural experiences and natural wonders; there's something for everyone here…including rum and cigars. Yes, you can legally purchase Cuban cigars and bring them home with you! 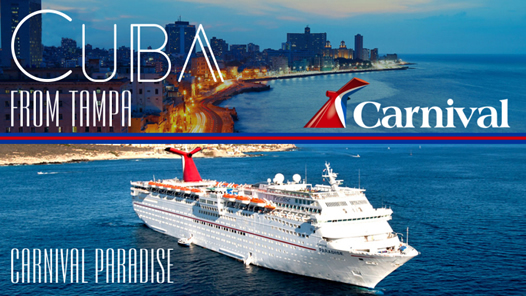 Oh, and we stay in port overnight, so you'll have plenty of time to check out the nightlife in Havana - yes, there is a cabaret with drag shows, a gay bar, and a few other VERY gay welcoming venues. You may want to wake early (or will you still be awake from last night?!) to watch us sail out of Havana this morning. 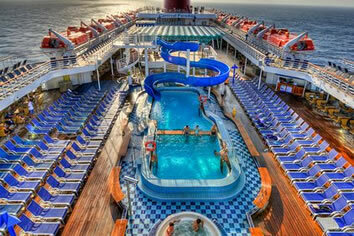 Then relax, unwind and enjoy the rest of the day at sea. Lounge on your private balcony or near one of the pools, or maybe even find a quiet nook to settle in with a book. 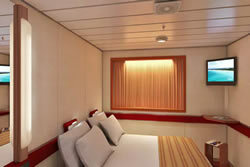 Want to be more active on your day at sea? Play bingo, work out at the gym, scale the rock climbing wall, watch a movie, dance all night, attend a cooking seminar, soak in a hot tub, watch a sunset (or a sunrise), check out the water slides, play trivia games, sing along at the piano bar, enter the best legs contest, do some wine tasting, check your email or surf the internet, grab a snack, watch live entertainment, get lucky in the casino, indulge in a spa treatment, play bingo, catch a game in the sports bar, and on and on. 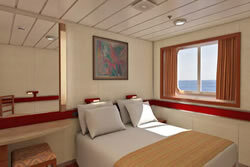 Taxes & charges of $112 pp, Gratuities and optional insurance are additional. 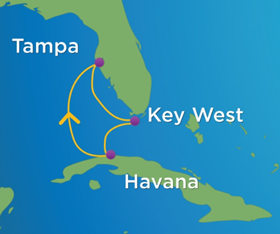 IMPORTANT NOTE: Sailing to Cuba is a little different than visiting other destinations. There are extra government requirements that need to be met. The good news is we make this easy for you. 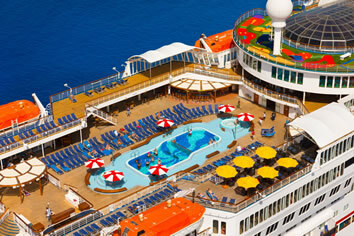 A valid passport is required (expiring after February 2020), as is a valid "tourist card" which can be purchased directly from Carnival while on board for $75. Unless you were born in Cuba, this will be all you need.